For sale through our Tring branch, this handsome former Convent exudes understated elegance and privacy. There is no doubt that grand old houses like Harvieston are rarely available for sale. Indeed this particular property has had only a handful of owners since it was first constructed in 1902 for Dr James Brown. Nestled away on the Western side of the town, it is perhaps best known as the former Convent of St Francis de Sales; home to the Oblate Sisters for some six decades. Harvieston offers substantial accommodation totalling in excess of 5,500 sqft. 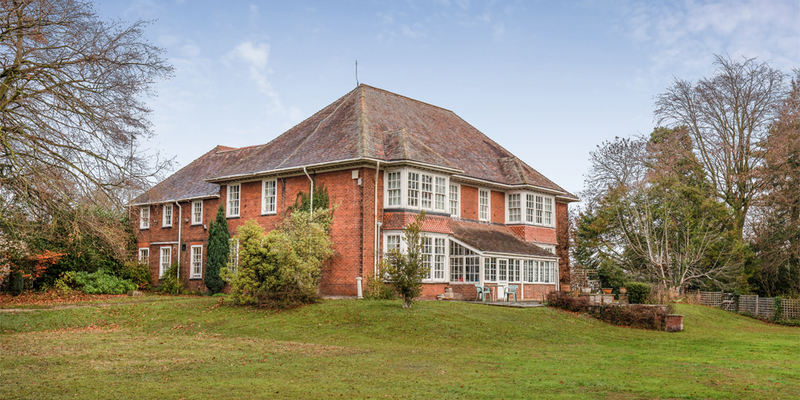 It enjoys a mature plot of approximately 0.8 acre and has considerable scope for redevelopment if desired, subject to obtaining the necessary planning consents. This handsome, elegant residence offers a unique opportunity to acquire a well-loved piece of Tring's history; an opportunity to redevelop and remodel this much-admired Grande Dame, to create one of the town's finest, most coveted private houses once again. Click here for further details, or telephone our Tring branch on 01442 820420.